The Vaisala DigiCoraIII sounding system acquires vertical profiles of pressure, temperature, relative humidity, wind direction and speed, and ozone concentration from the surface to the stratosphere. Ozonesoundings performed by the Danish Meteorological Institute started in 1991 with the aim of studying the polar vortex evolution and ozone depletion. The system is now run by ENEA. The sonde data are transmitted at 5 second intervals, resulting in high vertical resolution profiles. The system is composed by a sounding workstation connected to antennas for GPS and data telemetry. 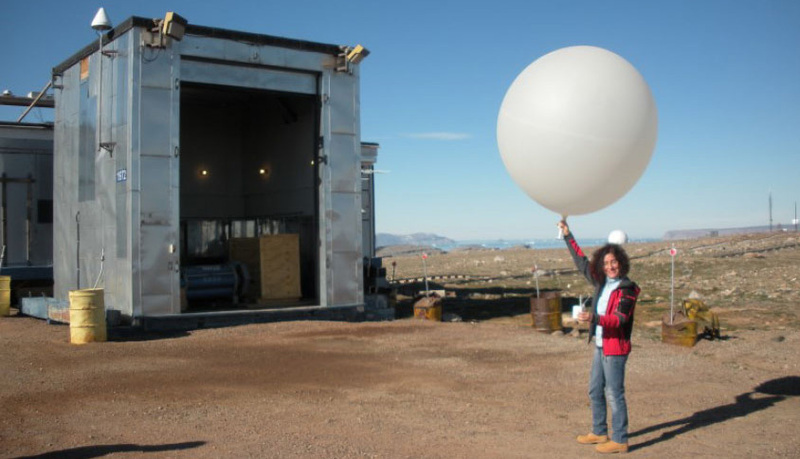 The Vaisala ozonesondes attached to a balloon filled with helium are launched mainly during winter season to investigate the ozone depletion process. Left: temperature, relative humidity, wind speed and direction profiles on 24 July, 2016. 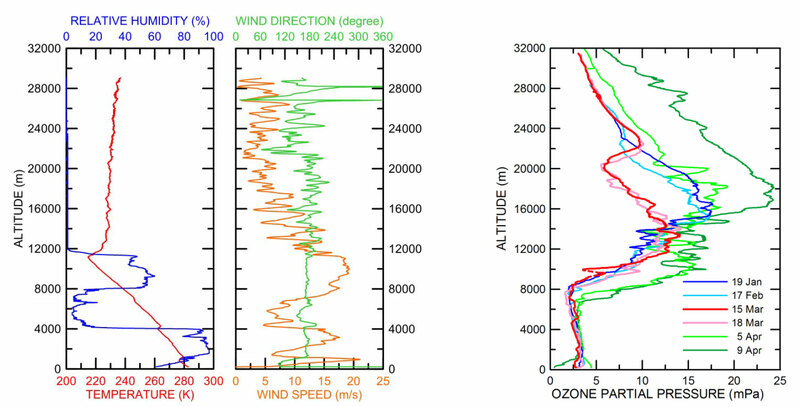 Right: ozone vertical profiles measured during early 2011. The strongest ozone reduction ever observed in the Arctic is apparent in mid March.